Wow. If you are the guy who won that car... We would LOVE to hear your story, right from your own mouth! Er, KEYBOARD! I sold it july 2003 to a private collector in Ill. after owning it for 14 years. I'm done with reporters but if you're interested I'll tell you pieces of the story when I can. I own part of a restaurant so my hours are late (look at my posting time), also my typing skills are lacking. I will tell you this it was great to win the contest since i was and continue to be a huge fan. 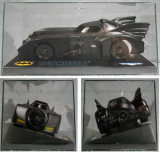 The new tumbler is is a vast improvement over the clooney Batmobile. The one I owned will of course always be my favorite. I really wish all of you could have had a chance to have one for yourselves. imagine being a geeky 23 yr old college student and winning a national contest and having MTV come to your town and hand you THE Batmobile and a 25,000 check. It was certanly the best summer of my life. Unfortunately it kind of forced me to be a recluse about it. Imagine at least 2-3 people a day for 14 years ask you the same question "hey ain't you that guy that won that car". I know it sounds petty but come on all I did was dial a number 50 times while Prince sang some god awful song. I was one in a million what else can I say it could have been anyone, but I'm glad It was me. And thanks for sharing your story. Feel free to drop in any time and give us more anecdote. Just noticed we got an answer to the question posted 9 months ago. Did you keep Robert Wuhl? "...won the car and $25,000 on June 19. Four days later, it arrived in Richmond with actor Robert Wuhl, who plays reporter Alexander Knox in "Batman." "
I was just curious if you were also able to sell Robert, or do you still have him? I too would like to see pictures of the car. I understand it was not taken from the same molds, but was custom made. I'd love to see how accurate it is. Most of the replicas out there are decendants of the original molds. I'm curious because I'm sculpting a stylized version for a go-cart, of course mine is only "inspired" by the '89. 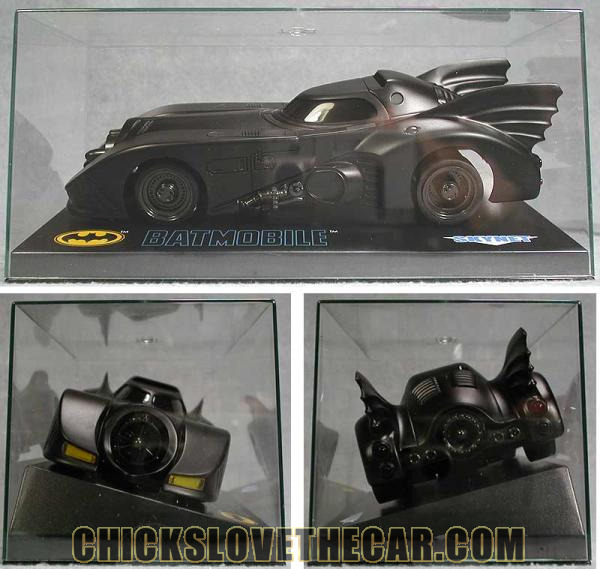 You can see it at my site, www.1989batmobile.com. Patrick - Don't worry, I'm not the reporter he was talking about. I am just some dude with a Batmobile fan site. But yeah - I would LOVE to hear more anecdotes about owning the car. Have you considered getting a replica again? I am sure you could buy one for MUCH less than you sold the thing for. And I too am curious as to what happened to Robert. Haven't seen him for awhile, although I hear he was on the World Series of Poker or some madness recently. No members currently viewing this topic. You cannot send private messages. Execution: 0.094. 14 queries. Compression Disabled. Batman and all related characters and elements are trademarks of and DC Comics and WB.